Facebook continues its quick pace of financial growth, with the social site doubling its revenues in the first half of 2011 to $1.6 billion. As disclosed by Reuters’ sources, Facebook Inc. has doubled its revenues to $1.6 billion in 2011’s first half from only $800 million a year earlier. The social site’s net income for the period came to almost $500 million – as confirmed by a source who wished to remain unknown – since Facebook is a private company and does not have any intentions of publicizing their financial reports. 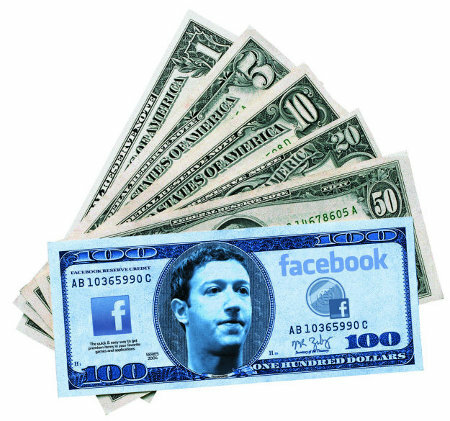 EMarketer, meanwhile, claimed that the company attained a revenue of $1.86 billion last year — leading them to speculate that Facebook might hit $4.05 billion in global revenues before the year of 2011 ends. A representative from EMarketer even noted that Reuters’ report is “on track with our estimates,” especially since the last two quarters of the year tend to collect more sales compared to the first two quarters. Facebook’s ever-growing financial performance comes, as rumors swirled over its plans of releasing an IPO sometime in 2012. The company has undeniably reached a good standing in the secondary market this year, even though several stock market issues arrived over the summer.